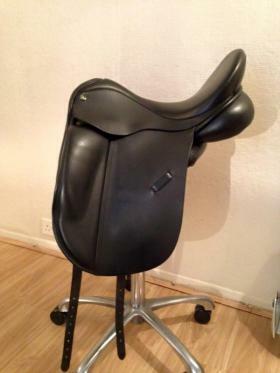 "Thank you, good level of interest in my saddle and sold via your site"
"Great. I had a fair few enquiries in short space of time. Was very pleased with your web site. Thank you"
"Had a number of interested people with very little outlay! Many thanks!" "Service is excellent. The only problem I found is with scammers which to be fair can happen on any website." "Great website for selling at a very reasonable price!" "Very happy thanks, I had a few enquiries from your website - as well as Preloved - and sold the box within a week!" "Great idea. 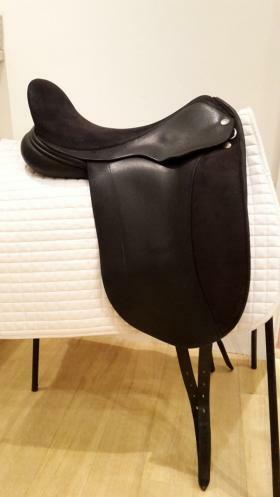 I had at least 30 responses and could have sold my saddle many times over"
"A super website which led to lots of enquiries and ultimately sold my horsebox. Would highly recommend the service offered." 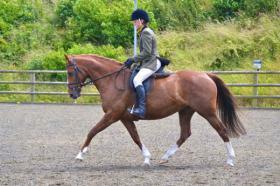 Advertise your own Dressage Horse, for just £5 until sold, and you can even upload a photo. Once your advert is running, you can update your dressage horse advert any time you want, to keep it fresh and up to date! 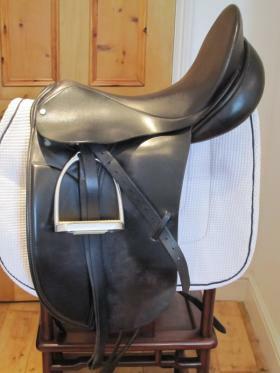 Advertise your Saddle... for just £5 until sold! 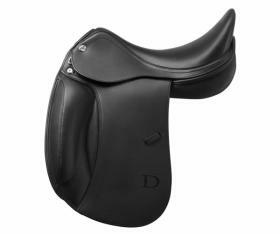 Dressage Saddle, GP Saddle, Jumping Saddle: we don't mind, you can advertise your saddle here. 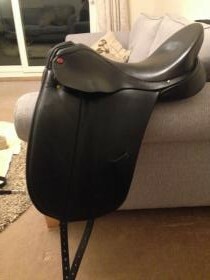 You can upload a photo of your saddle and your advert stays on until your saddle is sold! 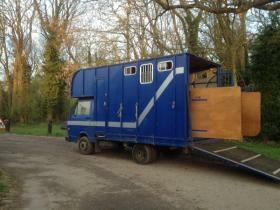 Advertise your own Horsebox, complete with photo, for only £5 until sold. Just click on the link below and follow the instructions. Brand new feature - advertise your tack and equipment - FREE until sold! Bridles, horse boots, riding hats, riding boots, numnahs, saddle cloths etc. Includes a photo of your item and your advert stays on until sold! 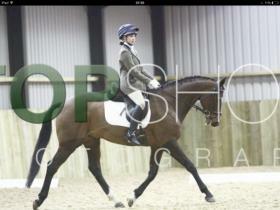 Yes, you can advertise your horse, saddle or horsebox on the Dressage On A Budget website for just £5 until sold! It's a brand new feature for UK advertisers - just choose which you want to advertise and fill in the details. You can even upload a photo. You can update your advert any time you want - as often as you want! New Feature... UPDATE your own advert as often as you want! 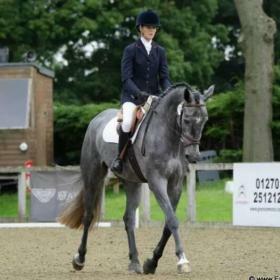 When you advertise your Dressage horse, saddle or horsebox with us you can then come back anytime and make changes/amendments to the advert - as often as you want. If you already have an advert running with us you can make changes now: just login with your details that were emailed to you when you placed the advert. Any time you make changes to your advert, it moves to the top of our listings to show people that it is up to date and fresh. 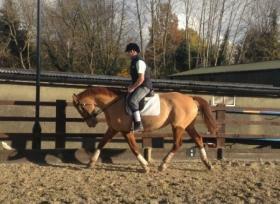 You are welcome to post "Wanted" ads on our Dressage On A Budget FaceBook page. Please do not post Wanted ads on this website. We are going to create a system for Trailer adverts but, at the moment there is nothing to stop you listing a trailer within the Horsebox section. You can now advertise your dressage tack and equipment including bridles, riding hats, horse boots, riding boots, numnahs etc. all FREE to advertise until sold! 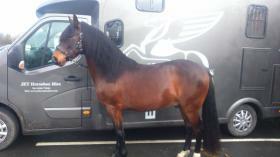 Advertise your Dressage Horse, Dressage Saddle or your Horsebox or Trailer for just £5 until sold.